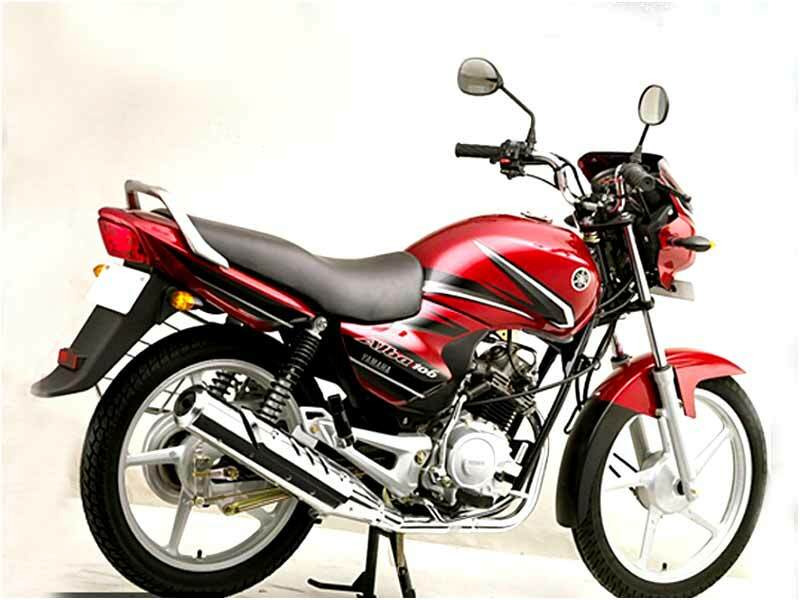 Yamaha Alba 106cc is a bike designed for the middle class commuters with modern technology and look. Check out the review to get the features, technical specifications & price. 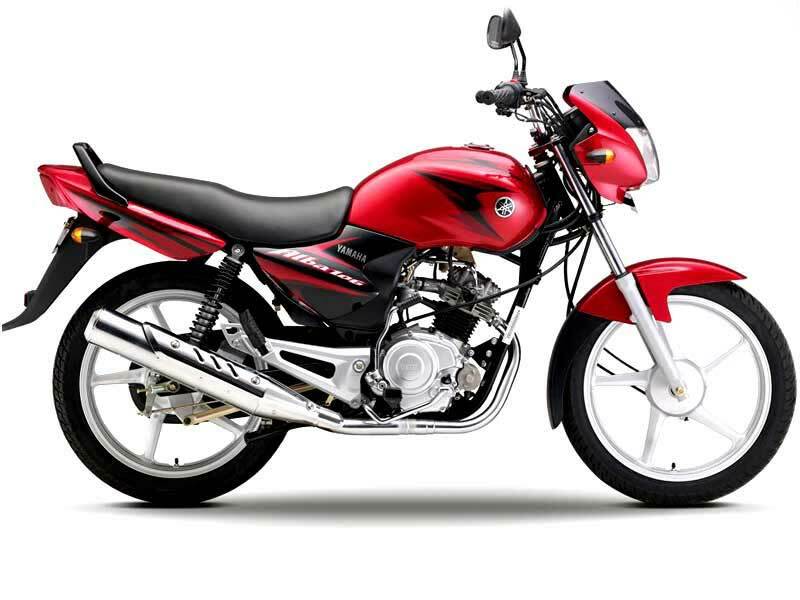 Yamaha Motors has launched another 106cc bike much like the extension of the Libero G5. Yamaha Alba stands apart with some of the novel features. The bike has an electric start and sports some cool graphics. Alba has all the potential to fit into a middle class family wish list. It is pocket friendly in terms of maintenance and fuel efficiency. It is an ideal bike for the middle class commuters and it renders comfortable riding experience for the rider even though it is not a hi-fi performance bike. In short, it is a bike that contains everything that one can expect from a good bike in this segment. Yamaha Alba's 106cc engine adopts the similar engine of Yamaha Libero G5 and Crux and it can whack a power of 7.6 bhp @7,500 rpm with the maximum torque of 80Nm at 6000 rpm. Alba has four-speed gearbox connected to the engine. The gear system is similar to the Yamaha's regular shift pattern. However, the perfect engineering of gear ratio helps in controlling the torque levels even at lower rpm bands. The new age bike from Yamaha Motors adopts modern technology for the build quality. Aerodynamic cowl, sturdy tank, broad seat, ergonomic seat, handlebar, knee recess on petrol tank are some of the amazing features fitted-in to this bike for the matchless riding experience. To offer economy and low maintenance, the bike has been shaped keeping in mind of the Indian driving condition. Alba 106 has a well arranged gear ratio for the convenient ride in congested areas without changing gears repeatedly. Yamaha Alba comes in two variants of alloy wheel and spoke wheel which are known as Alba Deluxe and Alba Standard respectively. Yamaha Alba is quite comfortable on its broad seat. But while riding we need to lean forward as the wheelbase of the bike is a long one. Considering the Indian road conditions, Yamaha has aptly designed this bike with a good gear spacing ratio to give an easy ride in the heavy traffic without changing the gear frequently. It can offer a good 65 km per liter of petrol in the normal Indian road condition though Yamaha Motors claim that it can run 85 kmpl. Mileage is the deciding factor that makes Alba stand apart from its rivals. It hits the speed limit of 95kmph sans vibrations but the engine cries and makes cranking noise in the increasing speeds. 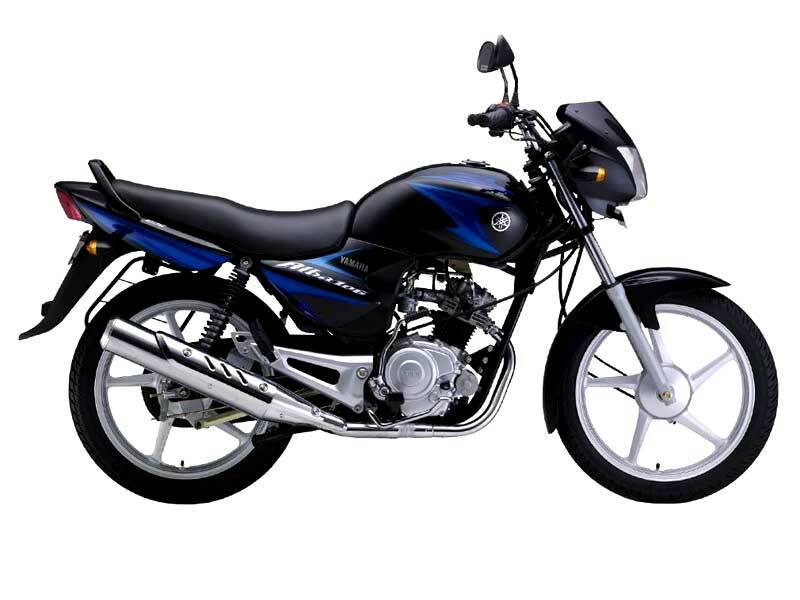 Amongst the most economical bikes, Yamaha Alba 106cc gives an outstanding average of 80-85 kmpl. The Alba is available in 2 different colors: Red and Black with Blue and it comes in two models. They are Yamaha Alba Deluxe with self start and Alba standard with kick start.